Cleaning and maintaining a swimming pool is a big job. It is necessary to do things like cleaning debris, emptying the baskets and cleaning the pool tiles. One thing that often gets forgotten when you’re not using a professional pool service, is brushing the pool. This might seem like an unnecessary and daunting task, but it does need to be done on a regular basis. It will reduce the chances of stains on your pool and further enhance the cleanliness of your swimming pool. Think your swimming pool doesn’t need to be brushed? Think again. This is going to clean the surfaces and prevent staining. Many of the newer pools have an automatic cleaning system, which prevents homeowners from brushing the pool. But these systems don’t do a good brushing. By brushing the floor, walls, benches and steps of your pool, you are giving it a good scrub that reduces the amount of algae and slime forming in your pool. It is also going to prevent staining, which can definitely happen to your pool surface if brushing isn’t done. Brushing your pool is a simple process if you decide to do it on your own. Keep in mind if you hire a professional cleaning service that comes by at least bi-weekly, they will handle regular pool brushing for you. 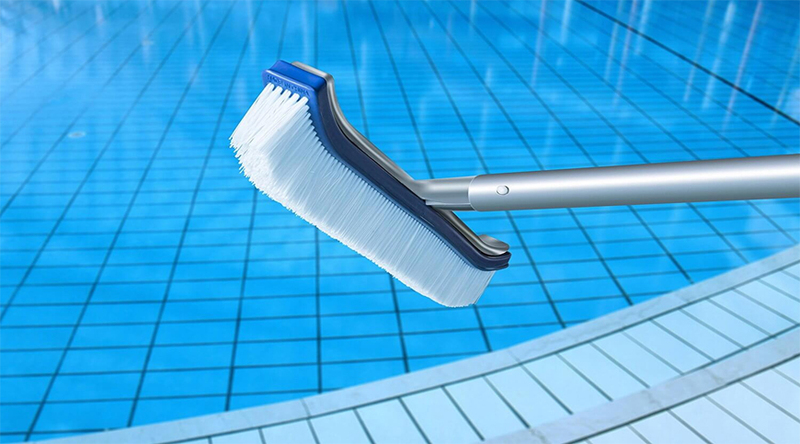 To brush your pool, use a nylon pool brush. An alternative would be a combination stainless steel and nylon pool brush. The bristles of the brush should still be in good shape and not left in the sun. Attach the brush to your telepole and run it across the pool surfaces. 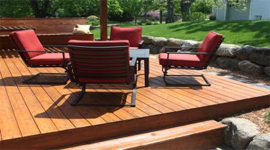 This includes the walls, steps and benches of your swimming pool. It doesn’t need to be scrubbed down with force, just a simple brushing along the surface is good enough. Most of the pool surfaces should be brushed down. The exception would be the floor of your pool, if you have a good automatic pool cleaning system that has a tail. This will do some of the floor scrubbing for you. However, you should still brush the bottom of your pool every few months just in case the automatic cleaner didn’t clean it effectively. Brushing your pool should be done a minimum of once per week, but preferably twice a week. It only takes about 10 minutes from start to finish, so it’s not a big job. But it is a very important one to remember to do. If you’re skimming your pool twice a week, take a few extra minutes to brush it as well. 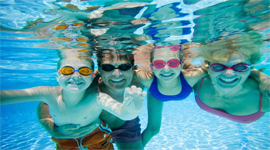 Contact the professionals at The Pool Store Valdosta or Thomasville as we can provide weekly pool maintenance and guarantee the proper handling and addition of any required chemicals.